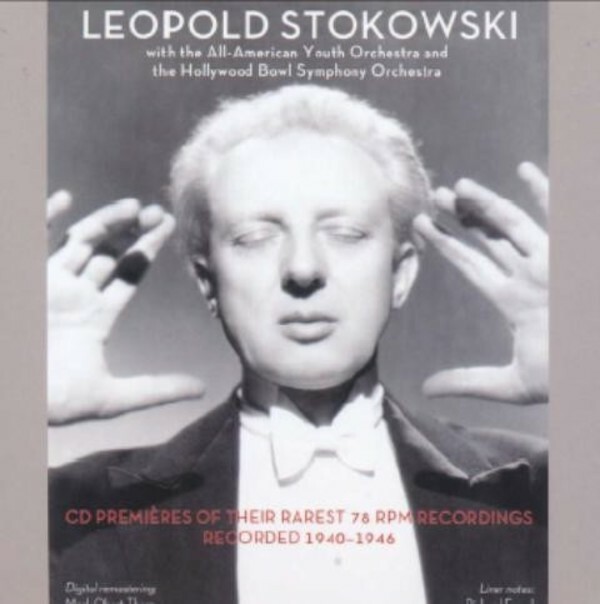 Leopold Stokowski formed the All-American Youth Orchestra in 1940, its players' ages ranging from 18 to 25. He sought to combat Nazi propaganda touting the wonders of Hitler youth with an artistic statement from young emissaries of the free world. The AAYO toured South America in 1940 and North America in 1941 and was met with rave reviews. These performances boast a unique combination of past and future: the wisdom of Stokowski's vast experience allied with the pure, undiminished idealism of youth. In 1945, Stokowski founded the Hollywood Bowl Symphony Orchestra. The items included here, the only ones that had not been re-circulated on commercial CDs until now, are all brief, and for the most part within a range of varying degrees of lightness in content. Beautifully restored by Mark Obert-Thorn.